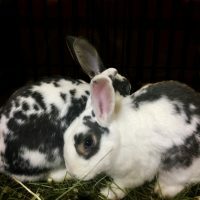 Two very nice rabbits that love each other. 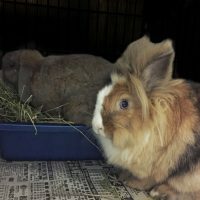 Bean is an older grey Holland Lop and her pal, Porkie, is a middle-aged calico, lionhead boy. Both have fun and friendly personalities. 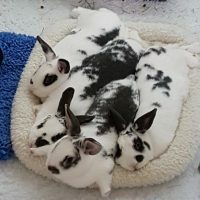 They are clean rabbits who use their litterbox and are not chewy. They were used to being around children as their previous owner was a nanny. 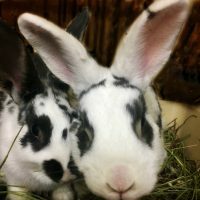 All-in-all a very nice pair of rabbits. 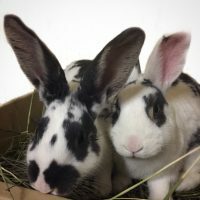 Beanie has a wee bit of head-tilt and so these two require an understanding home. Check out the fun they have with each other in this video.